"A design icon re-emerges - Normann Copenhagen presents the original Krenit bowl designed in 1953... More than 50 years after Herbert Krenchel, the materials researcher and civil engineer, designed the Krenit-bowl, the original minimalist design has been re-launched by Normann Copenhagen. 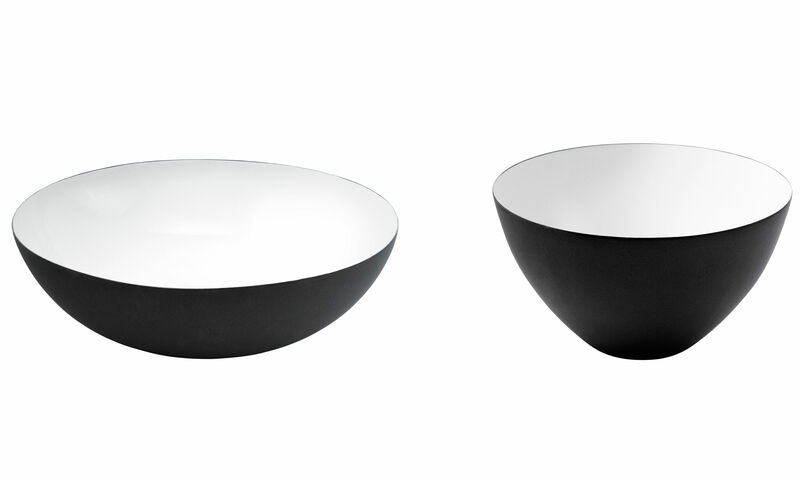 The Krenit-bowl is a perfect example of good Danish design and through the years it has become a design icon. With a simple and pure expression, the Krenit range is a contemporary classic which enables a perfect interplay between function and aestheticism. 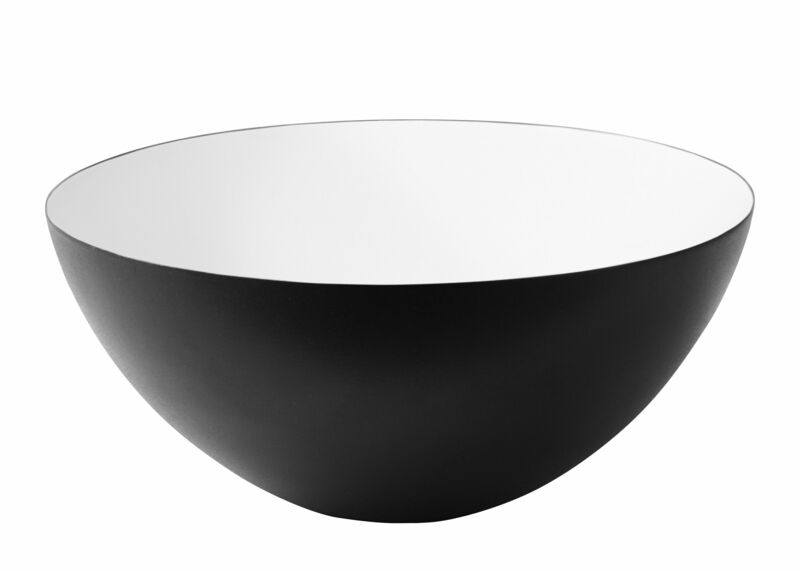 Its characteristic sharp edge creates a balance between material and form, giving the bowl its modern expression. Even its shape has set the trend for later designs of bowls, and the shape of the bowl is just as perfectly suited to the modern home anno 2009 as then. Herbert Krenchel says: ""In 1953 the idea was to make a beautiful bowl, preferably so functional and delicate that it was equally suited for use in the kitchen, on the dining table and as a decoration in the sitting room. As a material researcher I really concentrated on getting the different materials to match and look good together as well as making them equally compatible to use together. Enamel is a fantastic material, and even today my heart yearns for an enamel bowl. It is fantastic that the Krenit bowl is coming into production once more"".."